In which London borough do tenants spend the highest percentage of their salary on rent? We all know that London commands some of the highest rents in the UK. However, new data revealed by property website OnTheMarket.com has shown that, for one borough in the capital, tenants may feel a little more squeezed than the rest. According to the data, for those renting in London, Camden is the borough where tenants are spending the highest percentage of their salary on rent. 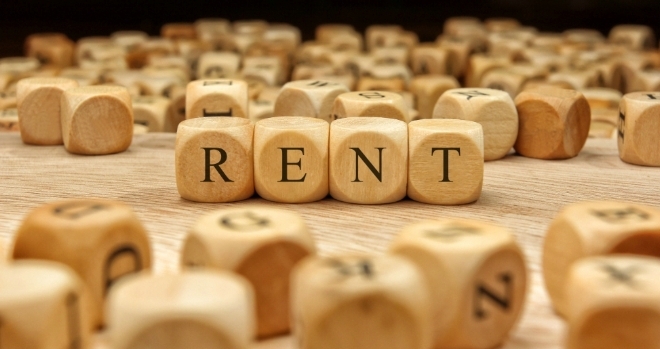 The analysis has revealed that when renting a one bedroom property in Camden, 61% (£1,944.28) of the average person’s salary within the borough is spent on rental costs, for a two bed the percentage is 46% (£1,471.05), for a three bed it is 51% (£1,614.44) and for a four bed it is 60% (£1,911.65). These percentages are based on one person per bedroom. The average gross salary of a person living in Camden is £3,181.17 per month, regardless of where they work. This data does not show Camden is the most expensive London borough to rent a property. Instead it shows Camden is the borough where tenants are spending the largest percentage of their salary on rent out of all the London boroughs in relation to what the average salary is for that specific borough. Kingston upon Thames is revealed as the borough where tenants spend the lowest percentage of their salary on rent across the capital. The average gross salary of a person living in Kingston upon Thames is £4,352.78 per month regardless of where they work. When renting a one bed property in Kingston, the percentage spent on rent is 25% (£1,099.15), a two bed 17% (£740.65), a three bed 15% (£648.55) and a four bed 14% (£627.40). This assumes the scenario of one person per bedroom. Vikki Bennett, spokesperson for OnTheMarket.com: “Costs within the London rental market have been driven-up in recent years as first-time buyers have battled to enter the housing market and second-steppers have struggled to trade-up while prices have risen. While it’s no surprise that cost remains the most likely primary factor when considering a new home, our analysis shows some stark variations across each borough of salary percentages being spent on rent. So while London rents remain high across the board, considering all available options, such as moving to a nearby borough just a few miles away, can prove to have significant cost savings. Mark Birch, Director of Lettings at Jackson-Stops in Teddington: “Kingston upon Thames is an ancient market town located on the banks of the River Thames and nestled between London’s two largest Royal Parks. It’s an attractive place to rent for many people offering many things such as great shopping and leafy walks in beautiful parkland. It is also cheaper than neighbouring areas such as Richmond. Charlie Benn, Director of Lettings at Anthony Martin estate agents in Bexley: “It takes around 45 minutes to an hour to get from Bexley into central London. This is ideal for city workers especially at a time where two hour commutes are on the rise. City workers living in Bexley are in easy reach of Central London while also benefiting from the affordable rental prices. This makes Bexley attractive to those working in the city who want to keep a higher percentage of their salary for disposable income!